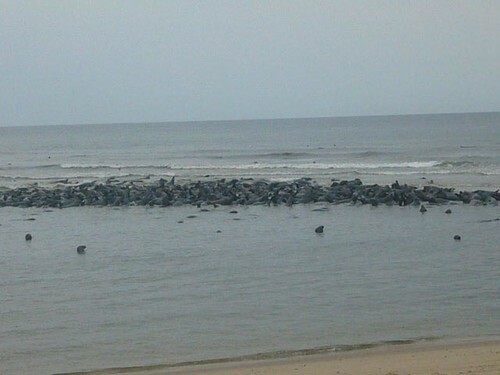 But it was hundreds and hundreds of seals! 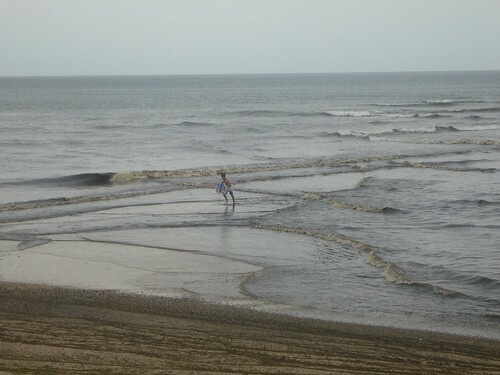 We drove a further distance down the beach, away from them, so Youngest could skimboard. Am off to look for a raincoat. WOW! That is unbelievable! 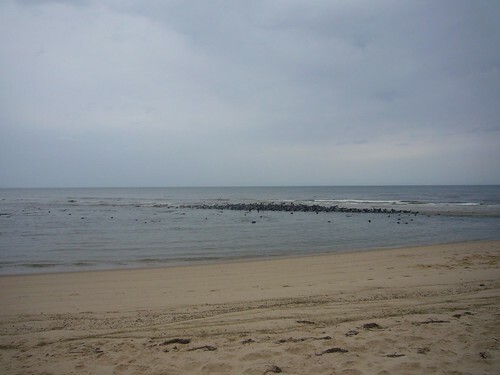 What a beautiful site, although it really does look like a rock jetty. Friday night at my beach, I saw a wild sight too. All of a sudden hundreds of dragon flies appeared and were swarming about. Then all the birds went nuts and started flying after them, and eating them mid-air. 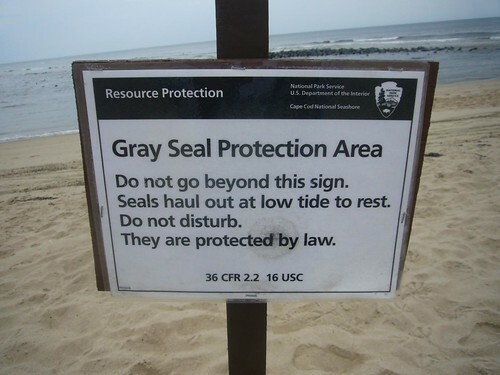 I am hoping that you have heard all the warnings about NOT GOING IN THE WATER where there are seals in the Cape Cod waters because great white sharks are there, too, preying on the seals. Sorry the weather is not nicer, as well - but maybe the chilly weather will keep you and yours out of the water! What a BEAUTIFUL sight. Really. I like cold, wild Cape days, but here's wishing you the rest of the week in the warm sunshine! Wow. That is amazing shot of the seals. Enjoy your days. Hope there's a bit of sun, rest, and relaxation. As long as you can relax, all will be well. YEAH, what stellamarys said about the sharks. Cape Cod Kid also reports that the weather in Mashpee is crummy, but they are thankful for the rain because the summer has been so dry. Forget the weather and the seals. I just noticed your nails in the Here We Are post, above the Crack Pie mixing bowl! So cute with the dots! Love it.